Vakkaru Maldives, an idyllic island retreat located within the UNESCO Biosphere Reserve of Baa Atoll invites all guests to be part of a memorable Festive Season. To celebrate the most wonderful time of the year, the resort launches Festive Tradition Offer that allows guests who book direct to enjoy 30% off room rate including daily breakfast at Amaany Restaurant for minimum 5 nights stay. This offer is valid for stays from 21 December 2018 until 06 January 2019. Guests who stay during the Festive Season have a lot of exciting programs to look forward to throughout the holidays as the resort’s team has prepared an array of indulgent culinary experiences, lively entertainment, exciting recreational and rejuvenating wellness activities for all to enjoy. An extensive selection of sumptuous treats is available in four restaurants and two bars, offering the perfect environment for everyone to relax and indulge in the holiday spirit. Food Festival Around the World, South African Braai, Christmas Market Gala Dinner and Christmas Turkey Dinner are some of the culinary highlights on the days leading up to Christmas Day. Approaching the end of the year, Oyster and Champagne, New Zealand Seafood BBQ Dinner, Lobster Night and Tuscany Night are ready to satisfy all taste buds. Live music will be available at different venue every day to set the right mood while keeping the guests entertained. The most anticipated New Year’s Eve Celebration at Isoletta Beach is taking inspiration from Roaring 1920’s theme that brings back the vibe of the golden age of 1920 with live acts and music, delectable culinary offerings as well as selection of party-perfect drinks. In the first week of January, the culinary journey on the island continues with Spice Routes Buffet Dinner, Sushi and Sashimi Special, Arabic Dinner with Shisha Lounge, Caviar and Chardonnay and culminates in an indulgent Orthodox Christmas Dinner at Amaany. Our Executive Chef Philippe and Stefanie our Sommelier are ready to welcome the guests to our wine cellar, Vakkaru Reserve, to enjoy an afternoon of feasting with our collection of matured cheeses, international Charcuterie, and wines from all over the world. Advance reservation is required as limited seats are available. An array of energetic or relaxing indulgent activities in and around the island have been thoughtfully designed for all family members to enjoy. Teenagers and adults have 24-hour access to fun recreational and sport activities at Coconut Club, Sports Fields and the beach including scheduled activities like Table Tennis and Table Soccer Tournament, Golden Racket of Vakkaru, Water Polo and Beach Volleyball. A variety of excursions await at Splash, the resort’s water sports, excursions and dive center, including kayak, motorized water sports, diving, snorkeling, fishing, sunset cruise, local island visit and expedition with a marine biologist. The little islanders aged between 3 to 12 can enjoy an extensive kid’s facilities at Parrotfish Club including some specially designed festive programs such as Christmas art and craft, Ginger bread making, meet the Santa on the Christmas Day, and other fun outdoor activities including Nature Walk, Kids Boot Camp and Scavenger Hunt. The resort’s overwater Merana Spa and Gym offers scheduled workshop and activities including various Product Workshops, Anti-ageing Facial Workshop, Aromatherapy Candle Massage, High Intensity Interval Training, Tibetan Yoga, Muai Thai and Yogic Detox. Before or after the workshop, guests can enjoy body massage or facial in one of the treatment rooms overlooking the ocean, or just simply relax in the wellness center with sauna and steam room, a warm Jacuzzi and cold plunge pool. Vakkaru Maldives is a scenic 25 minutes north of Male International Airport by seaplane. Blessed with timeless ocean views and nurtured by nature, it is an unforgettable paradise intuitively designed for travelers seeking an intimate getaway in arguably one of the most desirable island destinations on the planet. Let the timeless allure of the Maldives welcome you in as you discover the warmth and affection of its people in this idyllic island retreat. 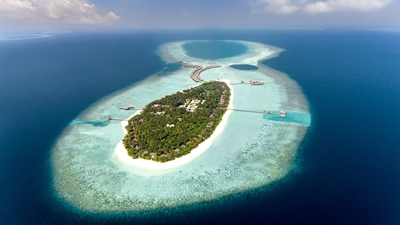 For reservations and general information, please visit vakkarumaldives.com.